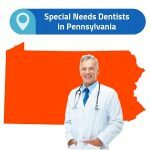 You may think that your little one is too small to see a dentist, but if he has any teeth that may not be the case. Your baby’s first set of teeth is called his primary teeth, and they are at risk for tooth decay just like permanent teeth in adults, meaning that your child can develop cavities just after getting his first tooth. Generally, brushing and flossing your baby’s teeth will keep them in good health, but this isn’t always the case. Some children are more prone to cavities because of the spacing or alignment of their teeth, their diets, or other genetic factors. Cavities in babies are not necessarily the result of poor parenting or poor dental hygiene, and they are not uncommon. In fact, many kids experience tooth decay and cavities before they ever lose their first tooth. Your child should visit a dentist for the first time as early as when their first tooth breaks through or at their first birthday, whichever is soonest. Beginning regular checkups with a dentist will help you notice cavities or other dental problems quickly so that they can be treated efficiently and cause minimal damage to your baby’s teeth. Tooth decay always requires some kind of dental work and the more immediate the treatment, the less damage your child’s tooth will suffer. Treatment for cavities in baby teeth is similar to that of adults. 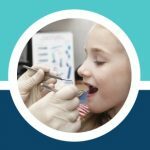 Because most cavities in babies are caught in the earlier stages, treatments are usually simple, consisting of small dental fillings or dental caps. These caps and fillings are used to protect the affected area from bacteria and acid that will cause further damage. More serious cavities may result in the tooth needing to be removed, which may require anesthesia similar to most surgical procedures. Your dentist will be able to examine the cavities and tell you which treatment will work best for your baby during a regular checkup. It is important to understand that tooth decay, even in children and babies, is a disease. Without proper treatment, it will continue to spread. Because children can keep their primary teeth for quite a long time, sometimes children don’t begin to lose teeth until they are seven or eight, untreated cavities can become serious. Cavities may seem harmless, especially in your children’s primary teeth, but they can actually become incredibly painful. An untreated cavity could affect the way your baby eats or chews can cause them incredible discomfort. Your baby may also be sensitive to certain foods around the cavity site. 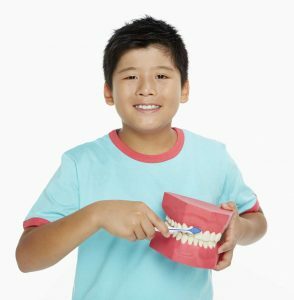 Once your child is older, a severe cavity can cause them to have trouble concentrating and cause irritability or fatigue due to pain. If permanent teeth begin to grow in while primary teeth are affected by untreated tooth decay, they are also at immediate risk for developing cavities. This is because the cavities are caused by bacteria, which can spread throughout the mouth and affect other teeth. Cavities can then cause serious damage to your baby’s permanent teeth, which may require similar treatments or extractions. 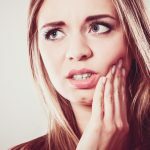 If cavities are ignored, they can become much worse, sometimes forming an abscess in the gums. Avoid giving sugary drinks like juice or soda. Juice is full of sugar and may be the cause of tooth decay in young children. Try sugar-free alternatives and water instead. Brush your baby’s teeth regularly, twice per day, with age-appropriate toothpaste. Fluoride may not be recommended for younger children. Generally, fluoride toothpaste can be used when the child is two years of age or can spit the excess toothpaste out without swallowing it. Brushing should last at least two minutes and thoroughly cover the exposed surface of every tooth. Even baby teeth need to be flossed regularly to prevent cavities from forming in between the teeth, where food can easily get caught. Brushing does not always remove food and bacteria from between the teeth. Encourage your baby to drink more water, if they are drinking liquids other than formula. Do not put your baby to bed with a bottle or sippy cup. Letting them drink throughout the night will coat their teeth with bacteria that aren’t removed until the next time you brush. If they must have a drink to go to sleep, always choose water. Try to include foods and drinks with plenty of vitamin D, calcium, and phosphates in your baby’s diet. These can be found in some fruits and vegetables as well as dairy products and cheeses. These nutrients promote overall bone health for your baby, including for his or her teeth. The habits that you teach your children will follow them into their adult lives and the same can be said about their dental hygiene habits. You should not only care for your baby’s teeth by brushing and flossing for them, but you should teach your child (once they are old enough to begin to understand) how to properly brush their teeth and floss for themselves. Explaining to your children how cavities form and the importance of daily brushing, as well as giving them visual representations on how to brush correctly, will help instill good hygiene habits that can follow them into adulthood. If you think your baby may have a cavity, you should act immediately in order to give your baby the best care possible. Your dentist will be able to give you information specific to your baby regarding their oral health and proper care for their teeth. It is recommended that children see a dentist twice a year after their first tooth emerges, for regular cleanings and checkups.